I just love fall weddings and even though the last two years have proven to be a bit unpredictable I still love them. Anyone in the midst of planning their wedding for next Fall? Now is the time to look for inspiration because before you know it the holiday season will begin! 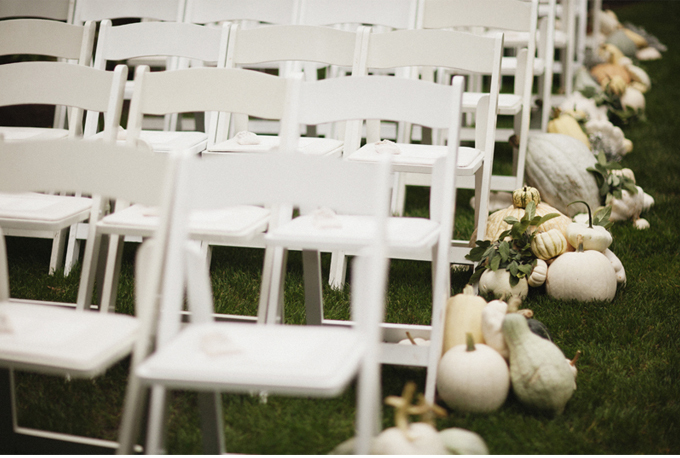 I stumbled across this amazing aisle decor and couldn't resist sharing! I just love the muted colors. This would look great in a barn or other indoor ceremony location as well!